Help Write Now: Day 8 ~ Item 22: Signed Book from Neil Gaiman! Day 8 ~ Item 22: Signed Book from Neil Gaiman! A signed copy of a surprise book from New York Times bestselling author Neil Gaiman, winner of 3 Hugos, 2 Nebulas, 1 World Fantasy Award, 4 Bram Stoker Awards, 6 Locus Awards, 2 British SF Awards, 1 British Fantasy Award, 3 Geffens, 1 International Horror Guild Award and 1 Mythopoeic. Special thanks to Samantha Mabry for soliciting the donation! Gotta try for this one! Has anyone heard his 8in8 project? Very cool! Douglas — Yes! And I just loved the idea behind it, too. $270. Why not? Love the man's works! I'm just expressing my own grief over not having an unlimited source of disposable income, too. I would SO outbit all y'all! Krystel wins with the last 10:00 bid of $300. Email coming soon! Please include your email address in your bid! All auctions are now closed. Thank you so much for your support! Thanks to an incredibly generous response, we are now closed to donations, but All 4 Alabama is looking for items-- please check them out! 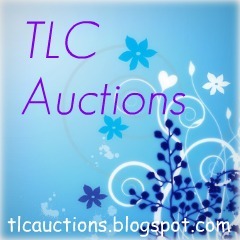 Email us at helpwritenowauction at gmail dot com. Use code bookfair #10486058 at Barnes&Noble to send 10% of your purchase to the United Way! More details here. Day 9 ~ Item 18: Agent Critiques : TWO Winners! Day 9 ~ Item 15: Custom Extra Scene! Day 9 ~ Item 14: Signed FALLEN Trilogy! Day 9 ~ Item 10: Super YA Critique from Real YAs! Day 9 ~ Item 9: Signed MORTAL INSTRUMENTS Series! Day 9 ~ Item 8: TWO Full Critiques + THREE ARCs! Day 8 ~ Item 17: YA Super Pack! Day 8 ~ Item 15: FIVE YA Books! Day 8 ~ Item 14: Nook + HUGE E-book Bundle! Day 8 ~ Item 3: Adorable Stuffed Animal! Day 8 ~ Item 1: SIX Signed Books PLUS Early Copy!